6. Launching my blog officially is finally going to happen. Anyone have any idea what to do to officially launch it? I want to get more folks reading! 🙂 It ain’t easy and hearing the tales of crazy from someone else definitely helps your own journey. My dear friend Lauren will be helping me out shortly to officially make the jump. 7. 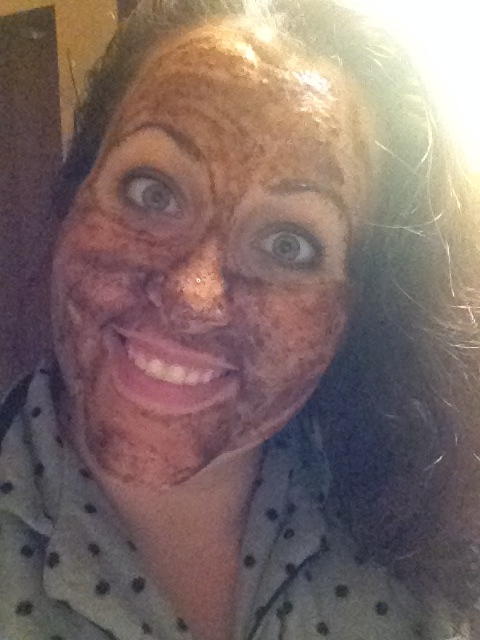 Last weekend I could not get a haircut but I DID get a mani, eyebrow wax, and did a face mask of brown sugar and honey. 8. 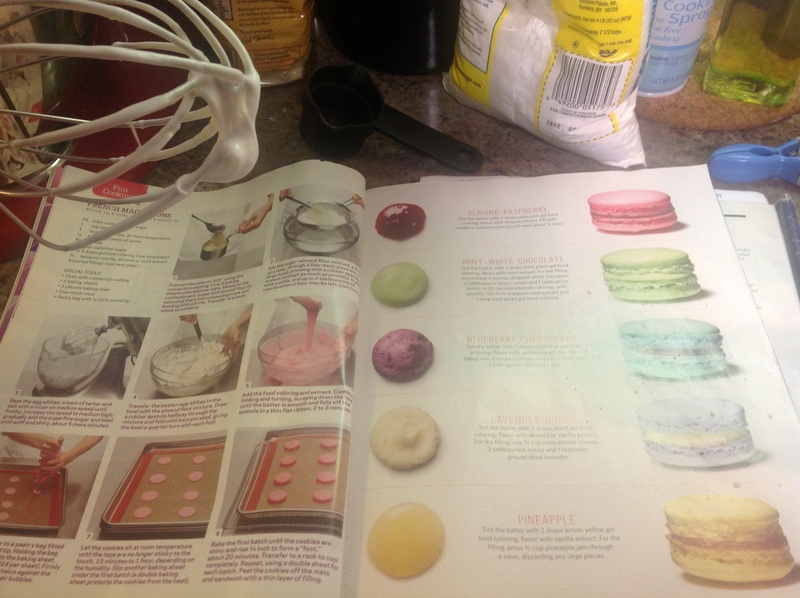 The art of French Macarons still befuddle me after two batches this weekend. My first batch had feet though! 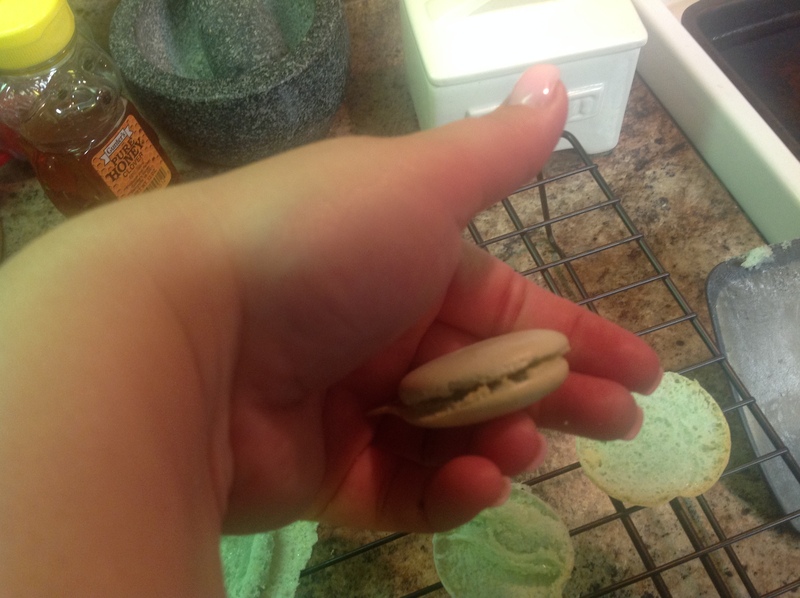 Feet are the little squishy bottoms on the Macarons; they don’t show because you press them together to make a little cookie sandwich. They were;t too smooth but I felt like I was onto something. Second batch was a disaster. 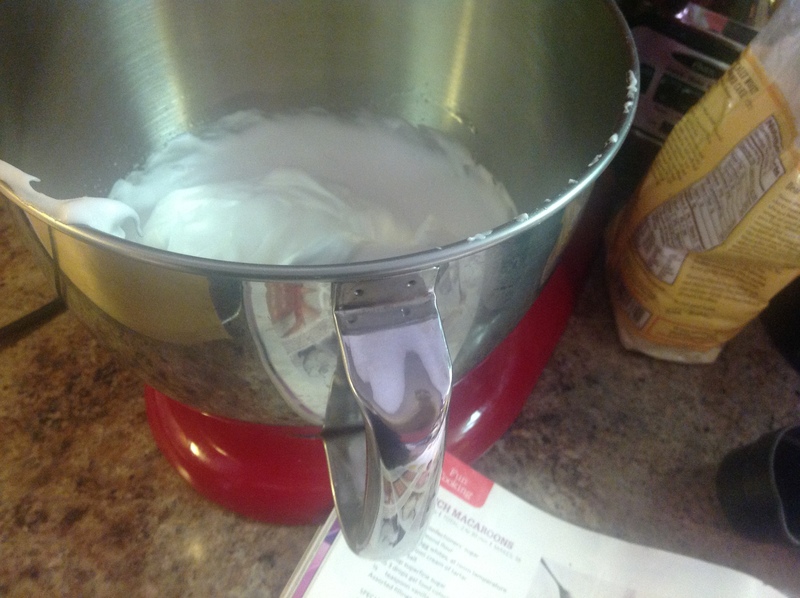 The batter is liquidish and hard to keep in the pastry bag, leaving me with very lopsided, almost Macarons. I’m thinking of trying them in a cookie press. Any thoughts? I downloaded a new tutorial to try to get some more insight. I shall triumph! I’m trying again this weekend. I’m determined now especially because I’m throwing a cookie swap in December. 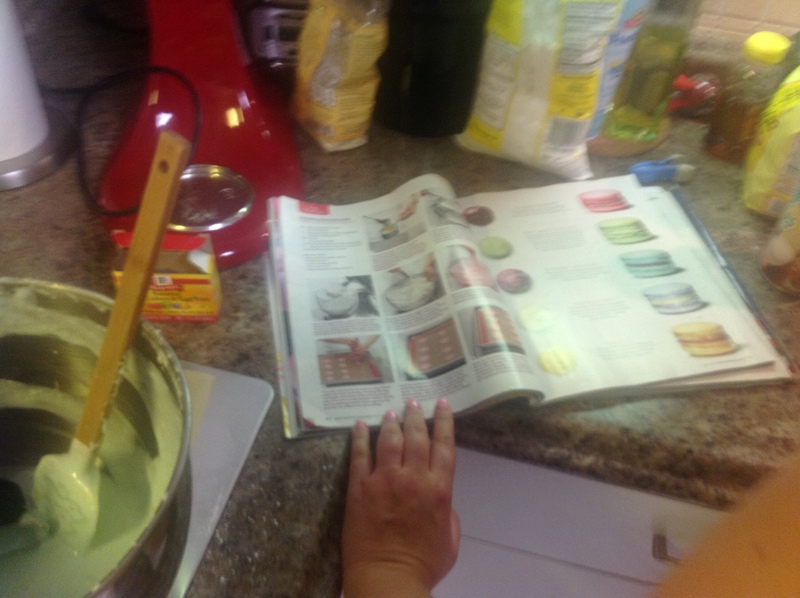 How cool would it be to have macarons be my cookie to swap? SO COOL. 9. With the T Shirt quilts I still blame them on my mother. Boo, Mom! Start cutting! 12. “Dreams and plans are in the making…” for our European vacation! Starting to collect info from tons of sources. One of my biffers is an expert but I’m collecting info from everywhere I can. I have a lot of notes and places I want to see. Florida first, though! We booked our flights just last night and I’m so excited to see all of our extended friends and family down there. Disney here I come!!!!!!! I want to make us Disney thing to wear. What will embarrass Hubs the most? Hahahaha! 15. Wedding albums: Our official ones are completed and looking at them this week just inspires me to make my own. Sorry but it’s true; they did nothing for me. What a huge letdown for what we paid. I let this fall by the wayside this weekend. Ah, well! Time to enlist Hubs for help. It will take a long time and I’m okay with that. Time to start the process though. 16. I was a copyright fiend this month for my album. My collaborator/peach will love me a lot. 5/10 songs are almost secured and lots more research is happening. Getting excited because I know this is a real possibility now. 20. Focusing on what I start is the biggest thing for me. I want to remember that I do certain things for a bigger purpose. I work hard all week to get us into that house we want but once we get there I want to bring myself and all my dreams and Hubs and all of his dreams too. I need to keep the focus on us, on our happiness, and that means having my eye on the prize. ALL the prizes. I’m making things happen slowly but surely even if I cannot see that end result right this second. It’s all happening. Goals are important. Sometimes you just brush the ones you don’t reach to the side. No time for that in this life, folks. I’m focusing every week on taking baby steps to get where I want to be and I know that with the support of Hubs, fam, and friends, I’ll get there. No more waiting. After reading this post, you can tell you’re a specialist writer with lots of experience.